Hi from Los Angeles! 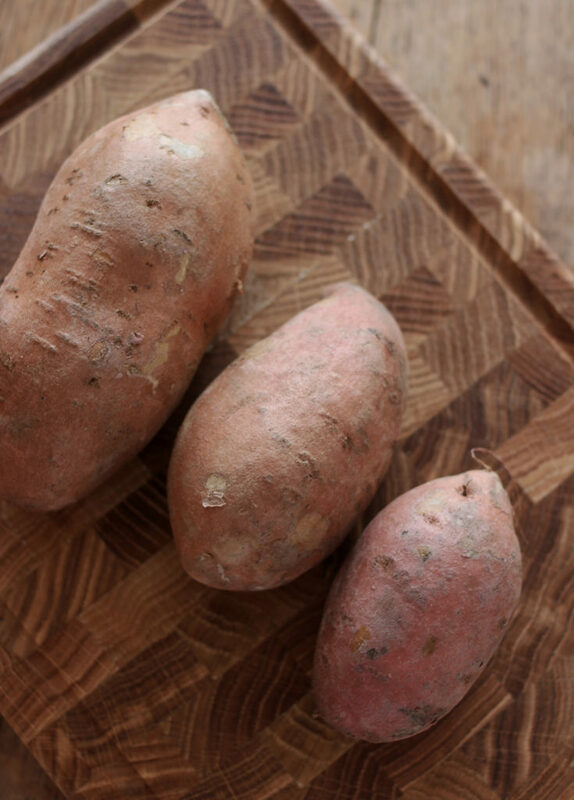 This week I’m celebrating International Sweet Potato Week with three special recipes featuring sweet potatoes. Why am I celebrating sweet potatoes? Because to me they’re the superfood carbohydrate of the planet; rich in fibre, vitamin a, vitamin e, and delicious flavour. In true Harriet Emily fashion, I have decided to share the dessert recipe first – because in my life, dessert always comes first. 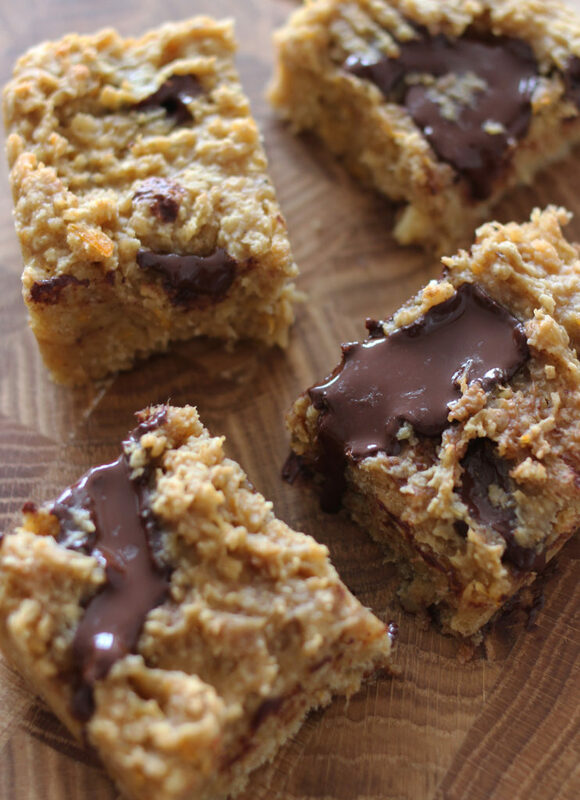 So this post is dedicated to a very special banana sweet potato flapjack. 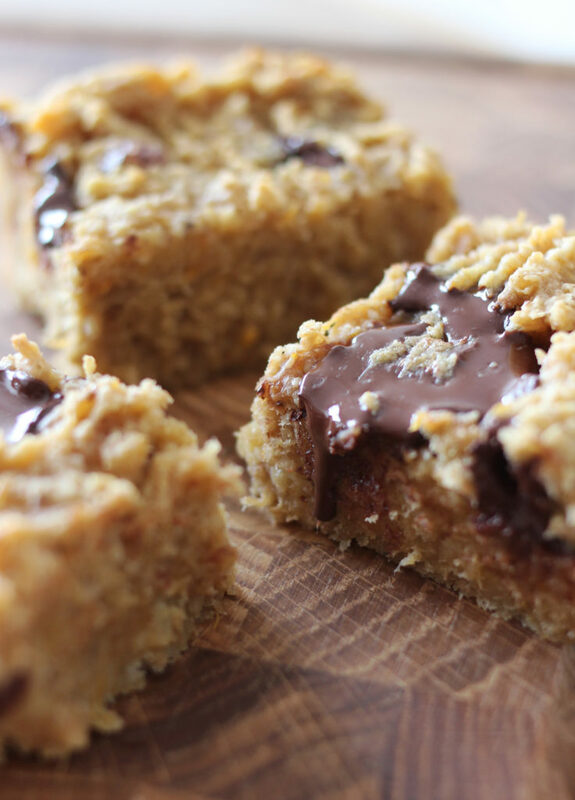 This recipe is one of my new favourites and it really hits the spot if you have a sweet tooth – its a very moreish, dense flapjack which can satisfy any sugar cravings you may be having. 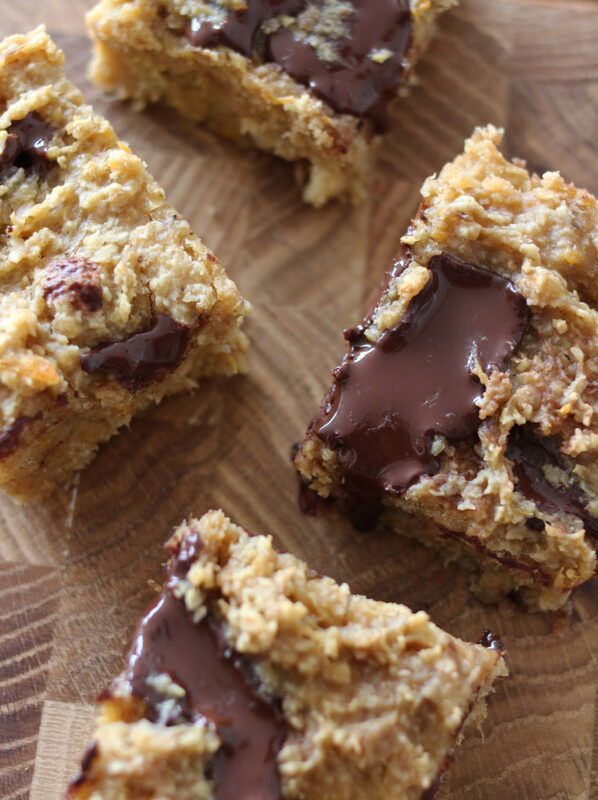 The sweet potato adds a slightly fluffy texture to the flapjack which makes them even more addicting. This is a very simple dessert recipe to make, and something you can keep stored for a few days and keep snacking on throughout the week! I hope you enjoy them! Peel and chop the sweet potato into small cubes. Then, fill a pan with water and bring it to a boil. 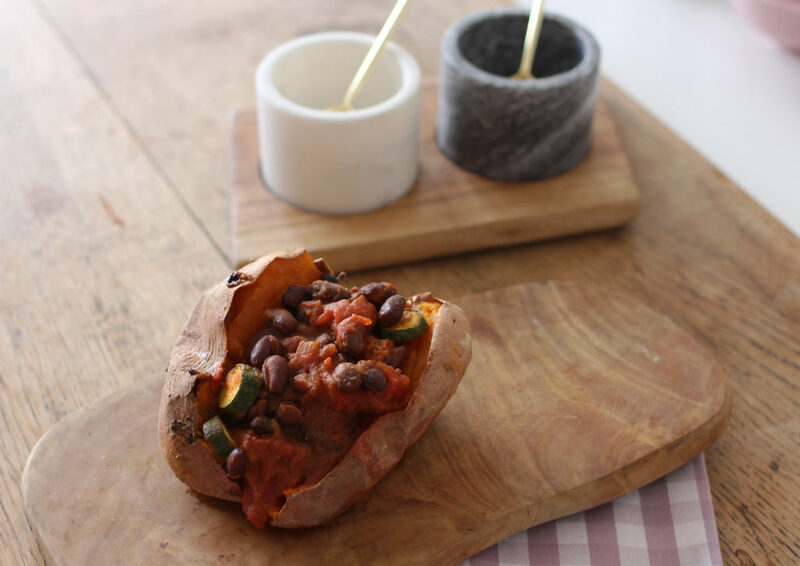 Cook the sweet potato for about 10 minutes until completely soft. Then drain, and set aside. Add the vegan butter into a pan on a medium heat and melt. 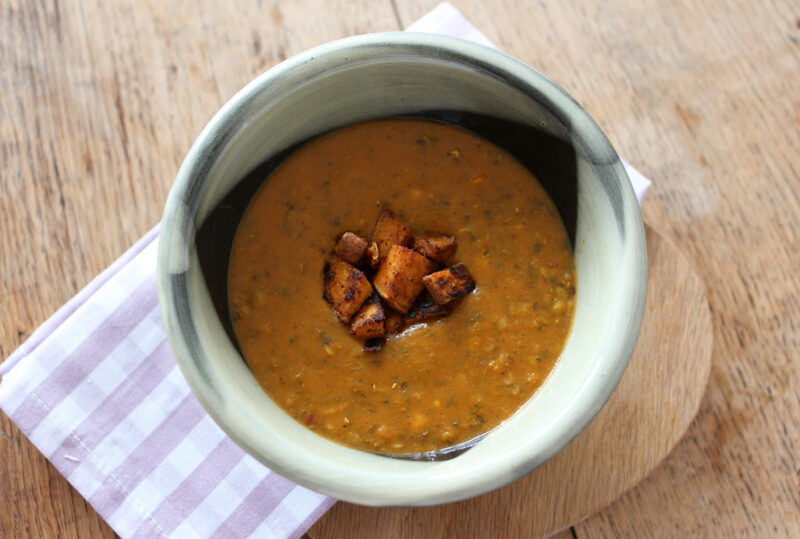 Then, remove it from the heat and add the banana, sweet potato, agave nectar and cinnamon. Using a fork or masher, mash everything together until smooth. Next, pour in the oats and chocolate chunks and stir until well mixed. Then, transfer the flapjack mixture into a baking tray and move it into the oven. 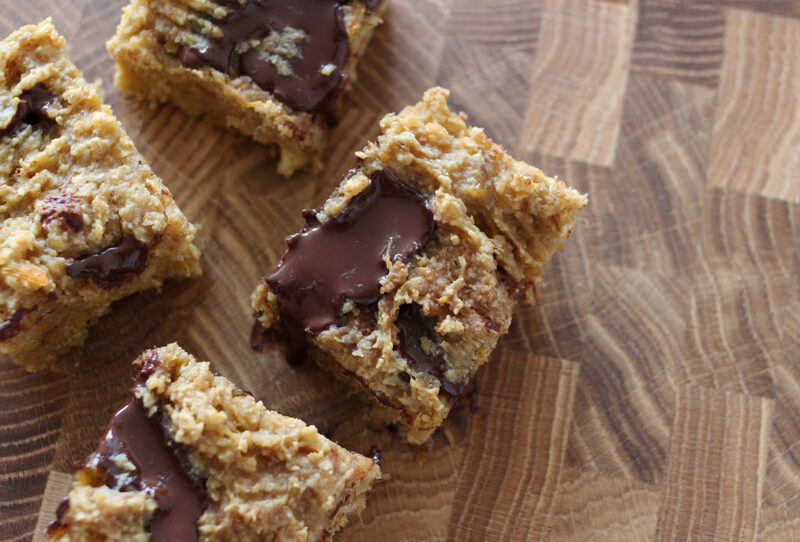 Bake the flapjacks for about 15 minutes until golden. Then, remove them from the oven and set them aside to cool completely before slicing and serving.